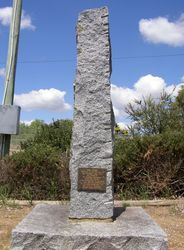 A monument commemorates explorers Hume and Hovell who set off from Hume's property near Gunning on their expedition to Port Phillip Bay in 1824. On 17 October 1824, a fortnight after leaving Hume's home at Appin, the party left his station at Gunning, then the farthest out. 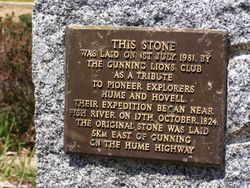 In the next sixteen weeks the party made many important discoveries including the Murray River, which the explorers for different reasons named the Hume, many of its tributaries, and the valuable agricultural and grazing lands between Gunning and Corio Bay in Victoria. It was a rich return for the distance travelled. They arrived back at Gunning on 18 January 1825. 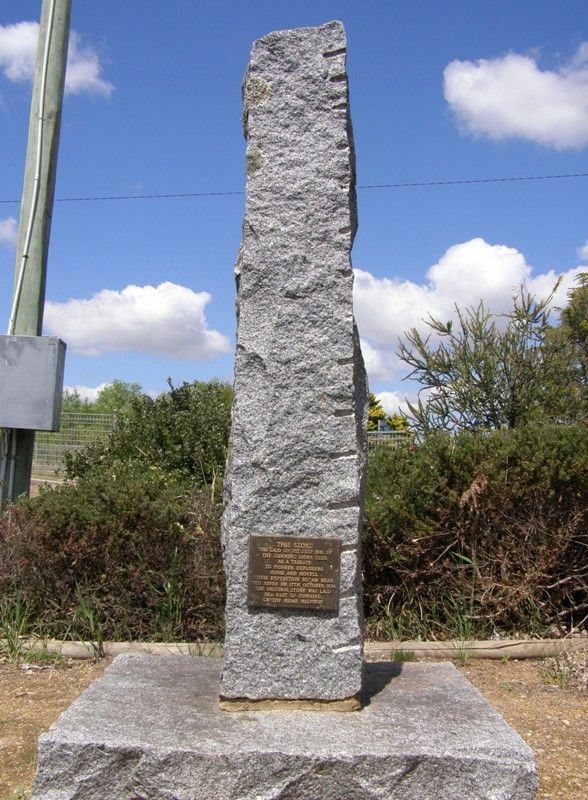 As a tribute to pioneer explorers Hume and Hovell. Their expedition began near Fish River on 17th October, 1824.